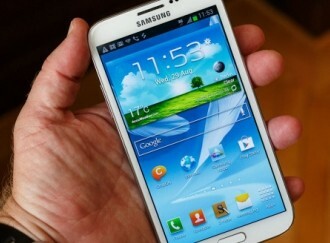 Samsung has revealed that its oversized Galaxy Note II smartphone just surpassed 5 million channel sales, less than two months after its launch. The company stopped short of mentioning actual sales to consumers, but the figure still provides an indication of how much demand the so-called ‘phablet’ is seeing, with estimates suggesting it is selling roughly three times faster than its predecessor. The announcement was made in a Korean press release put out by Samsung this morning. The milestone is significant in its own right considering a massive 5.5-inch phone is more of an acquired taste for a relatively niche market as opposed to more average sized smartphones. Thus, the Galaxy Note II can’t quite match the mainstream appeal of Samsung's own Galaxy S III, which cracked 20 million just 100 days after its debut, or Apple’s iPhone 5 which hit the 5 million consumer sales milestone in just three days. The Galaxy Note II has a 1.6 GHz quad-core processor, 2GB of RAM, and 16 to 64GB of internal storage. Samsung has previously said it expects the device to sell as many as 20 million units -- around double that of the original Galaxy Note -- thanks to a partnership with 260 carriers around the world. They might have to battle Apple in court to achieve that goal, however. Over the weekend, the Cupertino company added the Note II to its ongoing patent lawsuit against Samsung, along with the Galaxy S3, and the Galaxy S3 Mini. The case is set to go to trial next year.